February 2019 – Ricardo Teixeira – Transforming lives and accelerating productivity! Knowledge is absolutely necessary in our life. And there are so many ways of learning new things. You can learn with other people, you can take a new course, you can even buy a book, but, for me, knowledge doesn’t mean anything without action. You need to apply what you learn in a very short period of time or it will be worthless. 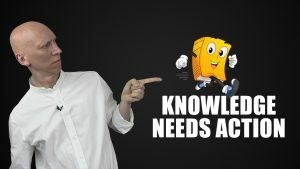 In my opinion there is a way of putting knowledge in action. I wish you a great day full of energy and above all full of KI. Posted in Entrepreneurship, Management, Mindset, Team No Comments. Comente! How to shield to produce more? BathroomsGaf on How to shield to produce more? We have chores every day….